I love crafting and have wonderful memories of creating things with my mum as a child. It is also something that I enjoy doing with my son. I have long wished to attend one of Brittany Watson Jepsen’s flower making classes and I was sad that as I moved back to Copenhagen she was leaving to return to America. You can imagine how delighted I was to see that she is teaching an online class on the fabulous website, Skillshare.com. 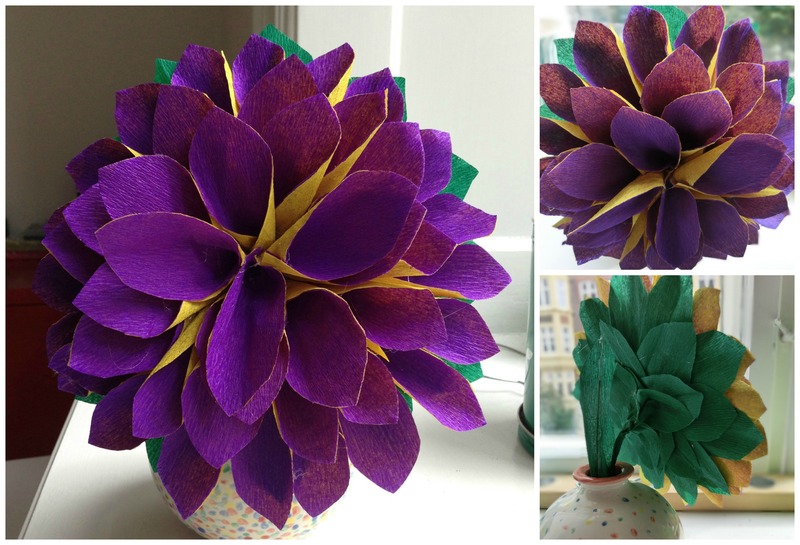 The class is called Mastering the Art of Paper Flower Making and you can sign up at anytime and get started creating wonderful paper flowers. I signed up as one of the first to take this class as it launched last week and I am loving it so much. I made the first of the three projects, a dahlia, on Sunday and my son sat watching with fascination. Note to Brittany – if you can make a video of a flower for a four year old to make you have your first customer right here! I am waiting for some more delicately coloured paper to come from France before I try the next two projects. So pop over to Skillshare and join in the fun!